Happy New Year! Thank you for another great year with us at FargoRidge! Along with a new year, comes a few new changes for our kennel. 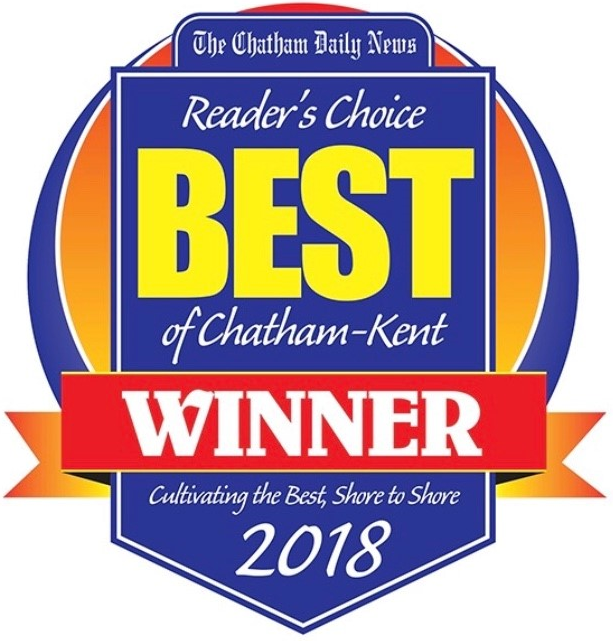 Our kennel has grown over the years and we cherish your pets so much, that we find it necessary to adjust our pick up and drop off hours in order to have more dedicated time to care for your special 4-legged friends. Our staff motto has always been “if it’s not good enough for our own dogs, it’s not good enough for our boarders”, and trying to exercise, clean, feed, care for and bath our boarders amidst constant interruption just isn’t good enough. 8:30 a.m.-11:00 a.m. and 5:00 p.m.-6:30 p.m.
Our priority always has been and always will be the best possible care for your pet. All the best in 2019. Our sincerest thanks for your continued patronage. 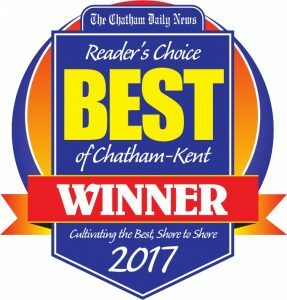 Winner of the Best Boarding Kennel for 2018, 2017, 2016, 2015 and 2014 in the Chatham Daily News, Best of Chatham Kent. 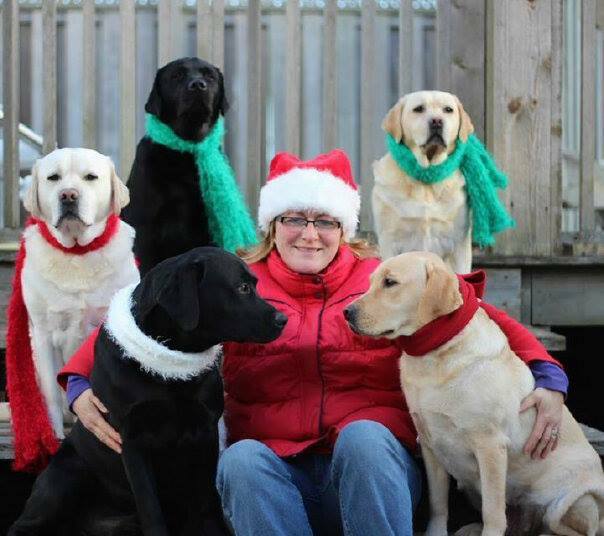 FargoRidge Boarding Kennel was established in 2011 and proudly serves Blenheim, Ontario and surrounding areas. The kennel is located on a 51 acre farm in Blenheim, Ontario. FargoRidge Boarding Kennel is on the same farm as the owners/operators house. You can have peace of mind knowing that your furry loved one has someone only steps away to attend to them. Our kennel has 12 spacious yards separated by fence lines. An individual daily walk is also included. Our boarders are fed twice daily, to your feeding specifications, but this can be adjusted to suit each dog’s needs at no extra charge. The kennel is fully heated and air conditioned, and also has in floor heating for extra comfort during the winter. All puppies are raised in my home, and meet approximately 100 people before they go home with their new family. All puppies are CKC registered and go home with a sales contract (including a non-breeding clause), a written guarantee, parental clearances (eyes, hips, elbows), micro-chipped, required vaccinations, and a feeding schedule. Thank you for choosing FargoRidge Boarding Kennel as your best friends home away from home. 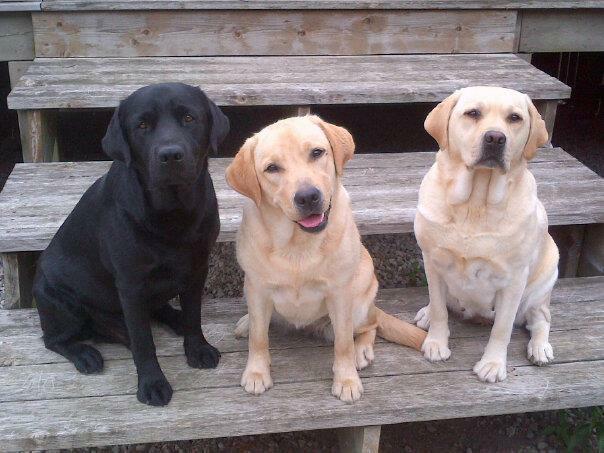 Copyright © 2019 FargoRidge Boarding Kennel & Registered Labrador Retrievers. Powered by WordPress. Theme: Accelerate by ThemeGrill.